Patient lies down and simply looks ahead at a blinking fixation green light. No suction ring nor surgical instrument touches the eye. Epithelium cells are removed with the Schwind Amaris 1050RS laser. 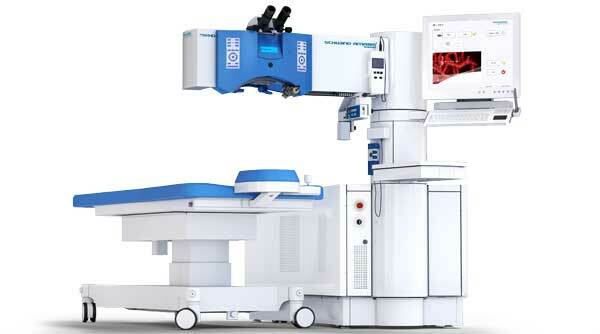 Laser goes on to reshape the cornea curvature to correct the refractive power in one step seamlessly. 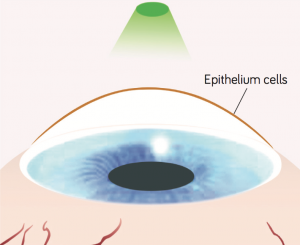 A transparent, high-oxygen permeability content soft contact lens is then placed over the cornea to act as an artificial cornea flap to protect the treated surface while the epithelium cells regenerate. 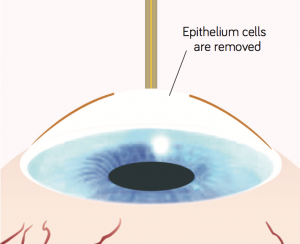 The epithelium cells then take 3 to 5 days to regenerate and heal. It is important to use the eye drops medications prescribed and stay away from strong sunlight for good healing. The high-oxygen permeability contact lens is removed after 5 days. 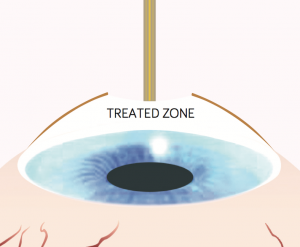 CXL is an additional treatment to the Safe Sight TransPRK procedure that helps to strengthen the cornea through corneal collagen cross-linking. It is a relatively fast procedure, taking an additional two minutes of time. Using the Avedro KXL system, CXL can help to minimize the weakening effects that comes with the laser sculpting of the cornea in refractive surgeries. As laser sculpting with the excimer tissue involves tissue ablation, corneas will naturally become thinner after refractive surgeries. The higher your spectacle power, the more corneal tissue is required in laser sculpting. Learn more about Corneal Cross-Linking!